Great for highest level adult play -Rinks, leagues, schools, YMCA, etc. Frame opening measures 72”W x 48”H and has a 40” base depth and a 19” top shelf. The wide radius base flares out, it’s not just ‘rounded’. 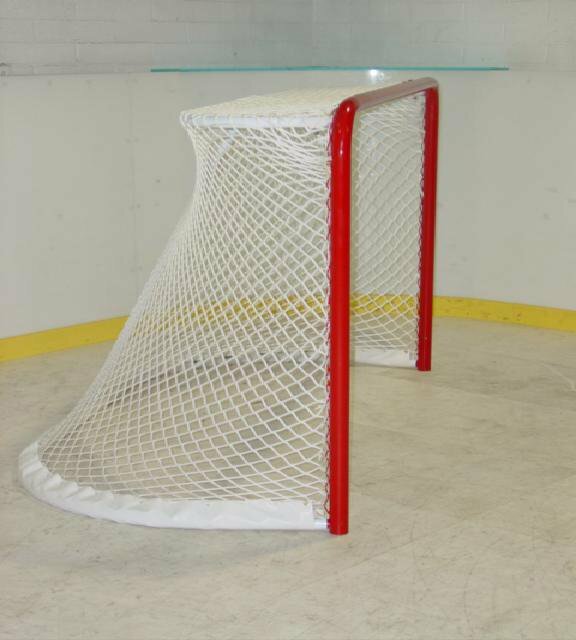 Uprights and crossbar are constructed of high quality 2” OD .109” thick galvanized steel. Front frame is powder coated red for a durable long lasting finish. 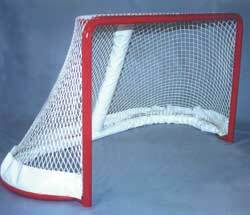 Frame has a full perimeter welded lacing z bar -no lacing around goal face or base is needed. Locked frame is tightly bolted together with grade 8 bolts. 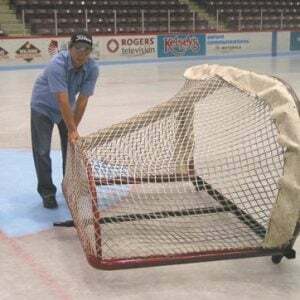 Includes a custom trimmed NHL netting for easy installation. 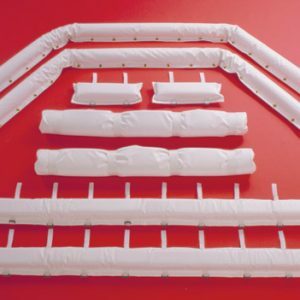 6 mm thick white netting is durable UV treated knotless nylon with a 11/2” mesh size. Base skirt is included. Some assembly needed. Sold individually as a single goal. 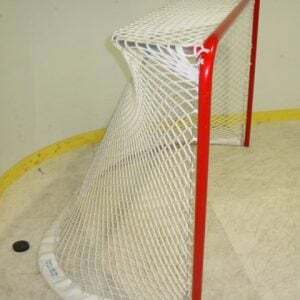 Please contact me with more information about: "Rec Net Hockey Goal (HG-300)".